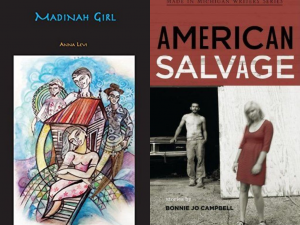 The UCF English Department has several events coming up this semester, including readings by award-winning fiction writers Anna Levi and Bonnie Jo Campbell. When: Monday, February 4, 2019 from 7:30 p.m. to 9 p.m.
Anna Levi’s debut novel “Madinah Girl” tells the story of a troubled teenage girl who abandons her toxic family to live on the streets of Trinidad. Once on her own the character experiences the harshness of vagrant life, encountering the likes of pimps, prostitutes, sexual predators, drug dealers, crooked policemen and more. The novel received special mention in the 2016 OCM Bocas Prize for Caribbean Literature. “[Representing] a broad canvass of modern Trinidadian life,” “Madinah Girl” will be read in honor of the 30th anniversary of Eatonville’s ZORA! Festival. The annual festival celebrates renowned author of African-American literature and anthropologist, Zora Neale Hurston, with multiple days of public talks, museum exhibitions, theatrical productions and arts education programming. Visit UCF’s Zora website (https://dtl.ucf.edu/ucfzora/) to learn more about the festival. When: Monday, February 25, 2019 from 6 p.m. to 7:30 p.m. Author of multiple fiction works such as “Mothers, Tell Your Daughters” and “Once Upon a River,” Bonnie Jo Campbell was a finalist for the 2009 National Book Award in fiction for her short-story collection “American Salvage,” which was also named a Top Six Book of 2009 by the Kansas City Star. Booklist called “American Salvage” “fine-tuned stories…shaped by stealthy wit, stunning turns of events, and breath-taking insights.” The collection has a ⅘-star rating on Amazon. Campbell’s appearance is made possible by the Atlantic Center for the Arts Master Artist in Residence Community Outreach Program. She is a Pabst Endowed Writer for 2019. The Department of English has several author talks and readings throughout the semester, including a monthly reading of students, faculty, and alumni at Orlando Brewing Company with the next event being February 3 at 7:00 p.m. and authors Robert Lopez and Caleb Michael Sarvis on April 27. View the full calendar of events here and stay up-to-date in their Facebook group, UCF English Department.